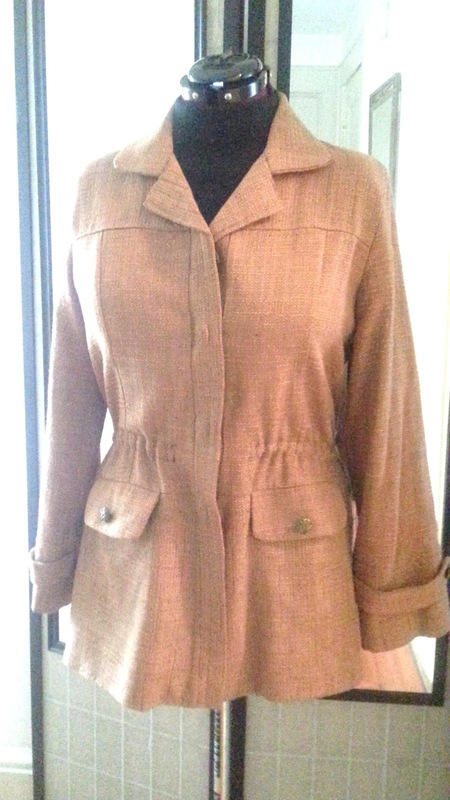 with thoughts of making a coat for the fall/winter season. I must say I was wavering between continuing to sew for the Summer or start Fall sewing, but Fall sewing was pushed to the forefront when I scored this lovely fauxberry. 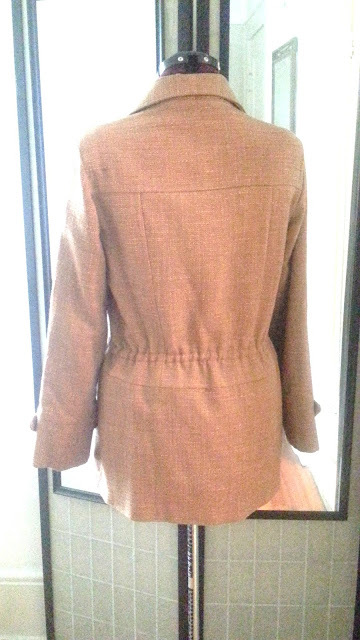 I so want to make a reversible coat with it. 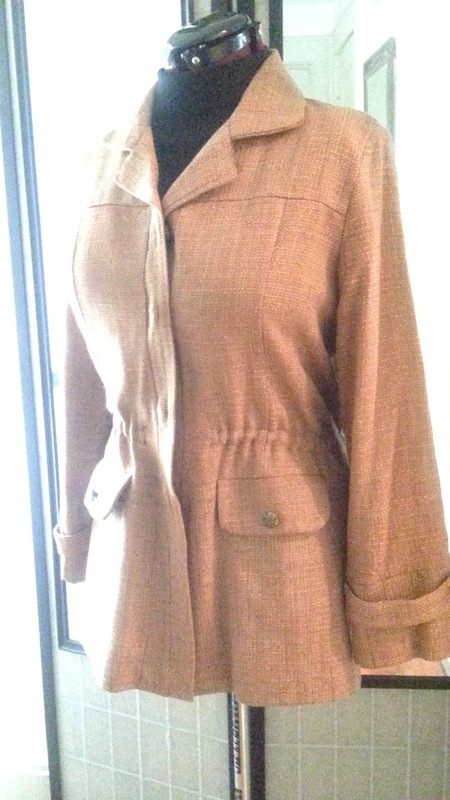 Now the urge to sew for the Fall/Winter is imminent, its like I must get cracking on this coat before something or a project bulldoze its way into my coat plan. So this weekend, I managed to serge all the fabric and washed it, which yielded softer fabric and to my surprise the wrinkling was minimal, which has me thinking the solid blue side may be a bottom weight cotton/poly blend instead of just cotton. Once that was taken care of, I pulled out a few patterns to get some ideas on the type of coat I wanted to sew. 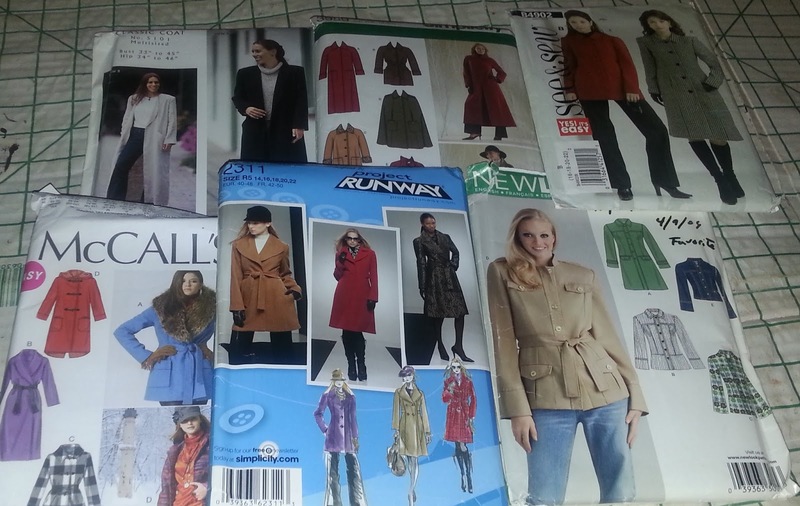 Also, I went through my coat closet just to reacquaint myself with what I have and to give me an idea for what style of coat to sew. Majority of my coats are straight styles ranging from three-quarter length to calf length with the proverbial notched collar and side seam pockets, as for texture I have several faux shearlings in varying lengths, a faux fur, a few shawl collar coats from boxy to swing and puffy coats. For years I avoided puffy coats, thinking that they weren't for me. While taking my mom coat shopping, I saw a lady trying one on and like the fit on her. When she walked away, I immediately grabbed up the same coat and tried it on and I was hooked and over the years I've purchased a few more. My favorite puffy coat is a leather one that I bought after seeing a lady in my office building rock it. Saw her one day in the lobby and was floored over her coat, but didn't approach her. Didn't see her again until the next winter on the street and kindly approached her about her coat and where she purchased it. She told me where she bought it and I hot tailed it to the shop, despite her telling me the coat was more than a year old. Well they had it and I got it for less than she paid... total score. Pulled out some more coats and came across New Look 6617 that I made back in 2009. Let me tell you this coat gets a serious work out. 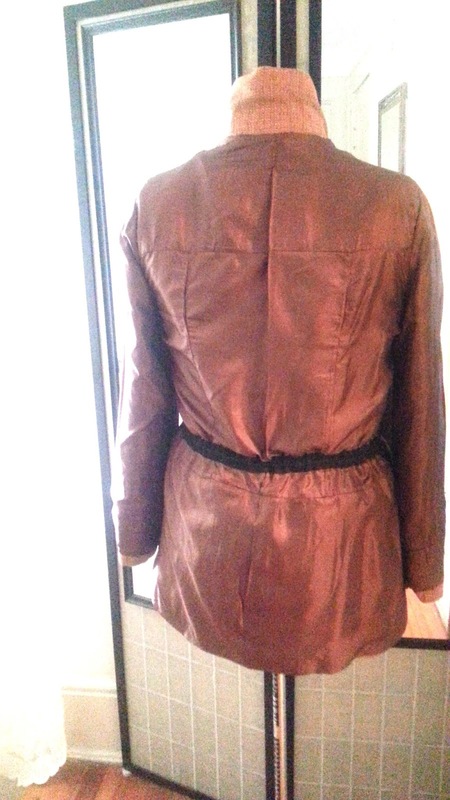 Last year I did a teeny refashion by removing the belt & belt loops and added elastic. The fabric is a poly/blend home dec fabric and the lining is china silk. Oh... how I would love to make another one, but sadly, plaids and 11 pattern pieces... nottttt, there would be all kinds of fawkry sewing it up. Back in 2009, I was fearless, and was fairly new to sewing garments. 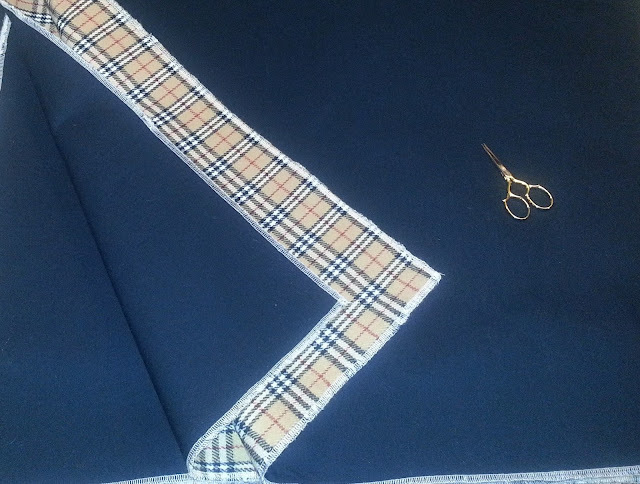 Now, when I think of sewing a garment with more than 4 pieces, I seize up, then all kinds of strategic thinking occurs and the end result yields nothing because I lost my fearlessness. The elastic was purchased during PR Philly Meet-up. Can't recall which fabric shop I purchased it from, but it was perfect for my teeny refashion. It is a casing with the draw string in it. I marked where I wanted the elastic and sewed two parallel lines, pulled the draw string to desired circumference and anchored. Finito. One thing I will not do again is use china silk for a lining. The lining seam along one armhole started to fray and had to reinforce it. Ok... with all that reminiscing and what not, have I decided on what pattern I want t use... ummm nerp... still thinking. However, if anyone has any techniques on working with plaids, sewing a reversible coat, they would be appreciated. It will be interesting to see how you finish the inside of the coat. I love the fabric. It will be a very nice addition to your coat wardrobe. Thanks DK's Wife. Once I settle on a pattern, construction will become clearer. Hi Sister and Thanks. 6 coats... that is impressive. I found and Awesome post by A Fashionable Stitch.. Plaid jacket chronicles. I don't have a pattern suggestion for you, but I think whatever you pick will involve some matching and more than 4 pieces. If you have enough fabric, I would totally work that bias angle to minimize the amount of matching needed. For example, if your pattern has princess seams, cut those pieces on the bias so that you don't have to worry about matching with the center front. You can focus on matching those alone. The same goes for the back - especially if the center back is cut on the fold. Whatever you decide, I am sure your coat is going to be divine. 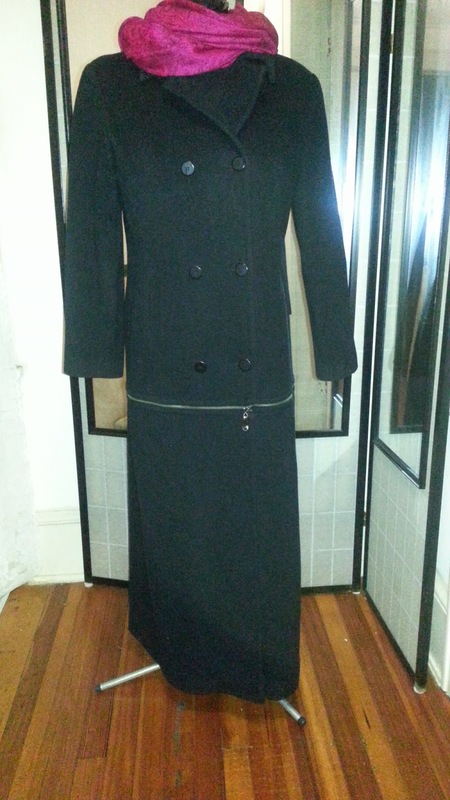 I'm working on a fall coat too and hope to make a pea coat and/or a full-length winter coat. We'll see how that goes! I really understand the fearlessness the less you know and then when you do know... seizure! I'm not sure the coat you mention is the same one I'm thinking of but Tany from http://tanysewsandknits.blogspot.com. She has made one with the zips... I couldn't find it for you tho. I love your zip coat and this make so much sense I can't believe there aren't more around. Thanks L for your fabulous suggestion. I looked over the few patterns that I pulled and looking closely at the ones with minimal seams. Looking forward to your coat. Hi Summer Flies and Thanks. Now that you mentioned Tany, now I remember. It's a great coat and to think I caught it on sale for $49.99 years ago and love the uniqueness of the two in one detail. Thanks so much Summer Flies. Awesome coat. Thats a nice piece of fabric. I cant wait to see your new coat. Thanks for sharing your coat chronicles and ideas. You always seems to whip us some beautiful clothes. You're right about sewing for fall now. In my area we usually have more colder months than warm months. 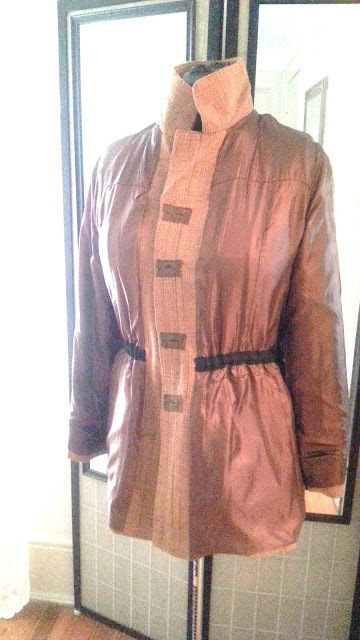 Wonderful choice of fabric for the coat. Whatever style you finally choose, I know that it will look gorgeous. Decisions, decisions. Can't wait to see your selection and the finished results. Starting now you'll be fashionably on time when the cold weather arrives.